An amazing Lemon Poppy Seed Muffin recipe! 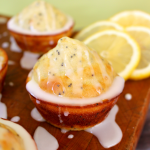 If you love a great muffin recipe, you’ve gotta try these scrumptious Glazed Lemon Poppy Seed Muffins! 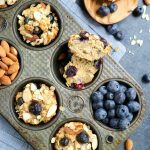 Inspired by bakery-style muffins, these breakfast treats are moist & delicious, loaded with lemon flavor and glazed to perfection! Just after I had graduated college, I did something rather daring. I moved halfway across the country for a job…and a boyfriend! Right away I found a great apartment, right on the river in gorgeous, Boise, Idaho. I loved living in my tiny one-bedroom apartment. In college I always had roommates, and before college I had stinky brothers to deal with. It was the very first time in my life where I was living all by myself. Just down the street from my apartment was this amazing bakery, called Pastry Perfection. On Saturday mornings, I would walk over and treat myself to a cup of coffee and one of their amazing rolls, pastries or muffins. 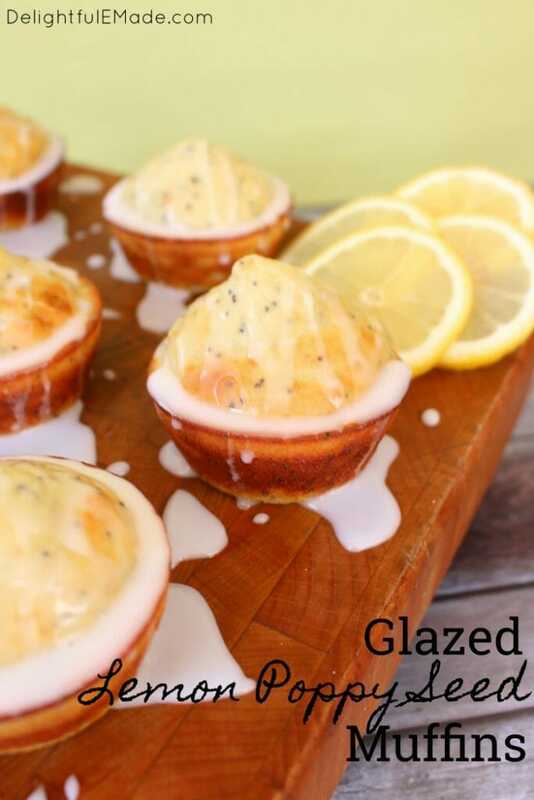 One of my all time favorites was their glazed lemon poppy seed muffins. 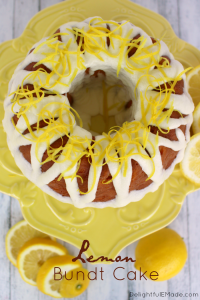 They were completely drenched in an icy-lemon glaze, which locked in this wonderful moist, lemony cake studded with poppy seeds. These were AMAZING…and somewhere around 400 calories a pop. Ummm, yeah, I gained about 15 lbs. that first year I lived there. Eeek! I really missed that amazing lemon flavor, locked in with that glorious glaze. 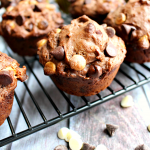 So, I decided to stroll down memory lane, and recreate these amazing muffins, but not with the gigantic calories to go with. 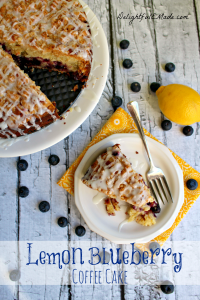 With this in mind, I decided to skinny up one of the recipes that I already had, but still keep the great lemon flavor, and the ultra-moist cake-like quality that made those muffins from Pastry Perfection….well, perfect! I ended up reducing the sugar, adding some lemon Greek yogurt to bump up the moisture, and added the zest of a lemon to keep that great lemon flavor. 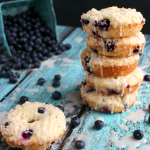 Instead of completely submerging the muffins in the glaze (yeah, I totally wanted to do that! ), I lightly drizzled with the glaze. The drizzle of glaze was just enough sweetness, and complimented the lemon flavor inside the muffin. You would have never known this was a lighter version of that old favorite of mine! If you loved this delicious lemon poppy seed muffin recipe, be sure to check out some of my other lemon treats! 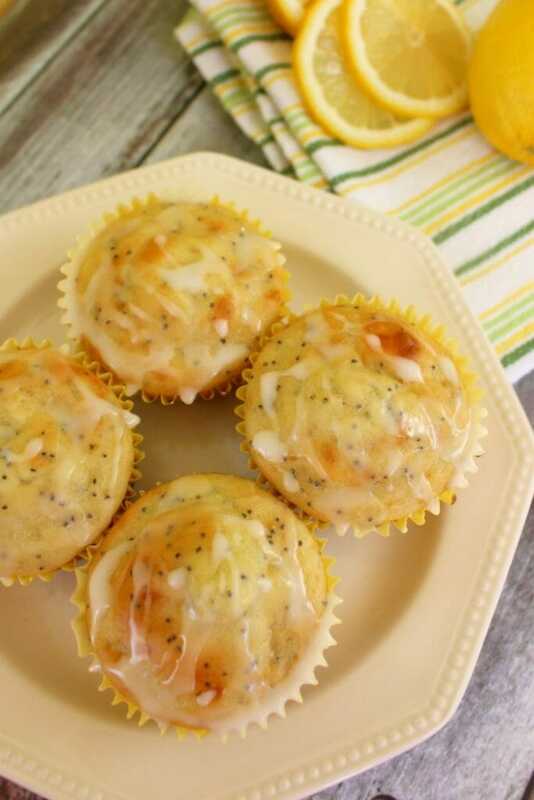 These Glazed Lemon Poppy Seed muffins are perfect for breakfast or brunch. 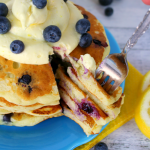 The muffins are moist, delicious and loaded with sweet lemon flavor! Preheat oven to 400 degrees. Grease or line a muffin tin/cupcake pan. Set aside. 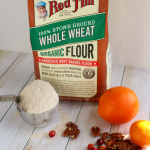 In a mixing bowl, whisk together the flour, sugar, baking powder, baking soda and salt. Set aside. In a second bowl, combine the eggs, yogurt, milk, vegetable oil. Combine the wet and dry ingredients. Lastly, add the lemon juice, lemon zest and poppy seeds. Stir until all are combine. Add the batter to the prepared muffin tin. Fill the cups about 2/3 to 3/4 full. Bake at 400 degrees for 14-18 minutes or until golden brown. Let cool for a few minutes and then remove from pan. Drizzle the muffins with the glaze and let set and completely cool. Looking back, I really loved that little apartment of mine. I loved my little walks to the bakery. I eventually lost those 15 lbs, but kept some really fond memories of Boise, where I lived for nearly a decade. That first job that I moved to Boise for turned out to be a dud, but that boyfriend of mine turned into my husband. We miss Boise, but we can always make a batch of muffins to relive the Saturday morning walks from my tiny little apartment by the river. These look amazing! 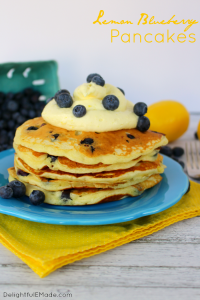 I need these for breakfast, or now! Mouth. Watering. And your photos, again, so gorgeous. I am a huge fan of your site. I noticed the directions for the recipe mention vegetable oil but the ingredient list doesn't have any. Is it needed? How much? Thanks! In the instructions it says to combine vegetable oil along with the other wet ingredients. But there isn't vegetable oil listed in the ingredients list. 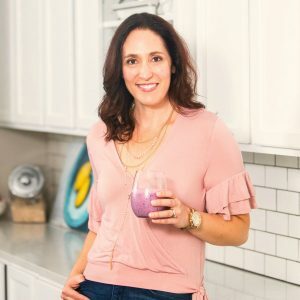 How much vegetable oil is supposed to be in the recipe? I am in the middle of making your muffins now and notice the directions mention vegetable oil yet it is not listed in the ingredients. Please help. I made these yesterday and they came out great!! The taste is right on, especially the glaze. My issue is mine came out really heavy, any tips to make them a little lighter next time? 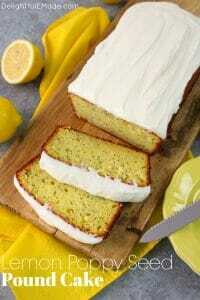 You had me at lemon. You mentioned glaze, now I'm yours forever! Seriously though, I hope you will drop by knockitoffkim.com and link this lovely recipe up for our You Link It, We Make It party! Pinning! My husband loves lemon poppyseed muffins, but I've never made them - I need to make these for him! 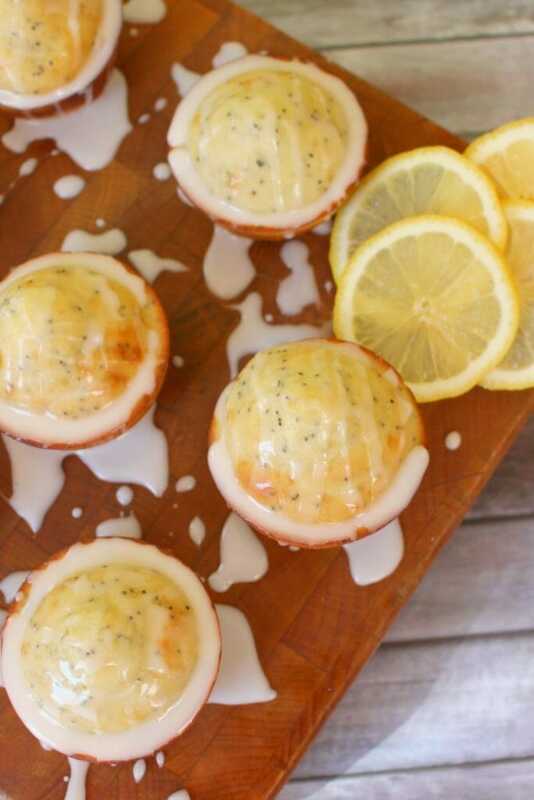 I love Lemon Poppy Seed Muffins, and I bet yours are fabulous with that glaze. 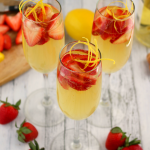 Thanks for sharing on the Creative K Kids Tasty Tuesdays party. I hope you will join us again next week. I LOVE these!! Looks and sounds so delicious..and poppy seeds are so great in muffins!! Thanks for joining us at #SaucySaturday.. Pinned of course!